Registration continues for the 2016 Fall Recreational Soccer Season. Avoid the late fee, register BEFORE August 1st, and guarantee your young soccer player a spot this fall. -D Coaching Course / Must register in advance. All dates are subject to change. Please see online calendar and website for latest program updates. 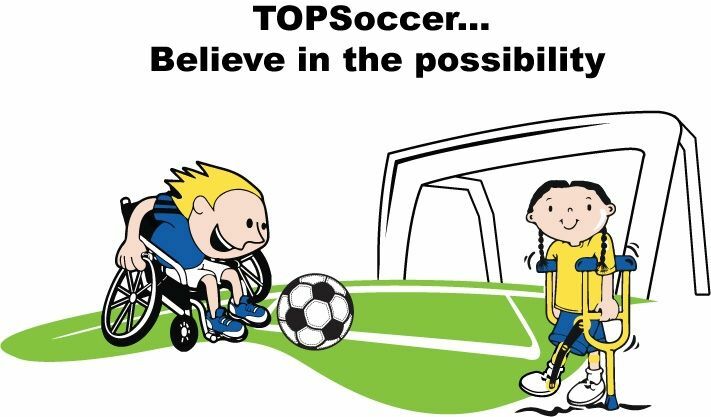 TOPSoccer, the Outreach Program for Soccer< is a community-based training and team placement program for young athletes with disabilities. The purpose is to give every player a chance to experience the joy of soccer.